Australian Derby winner Levendi has pleased connections in a barrier trial at Warwick Farm. Australian Derby winner Levendi is on target for a return to racing and a clash with Winx in the Apollo Stakes after making his first public appearance since last year’s autumn carnival in a barrier trial at Warwick Farm. Levendi won the Tulloch Stakes and Australian Derby in Sydney last autumn but missed the spring carnival after being given a long spell after surgery to remove bone chips from both knees. The four-year-old entire ramped up his preparations for an impending return to the races with a pleasing trial on Tuesday morning, finishing fifth of seven in a quality heat won by Fiesta. 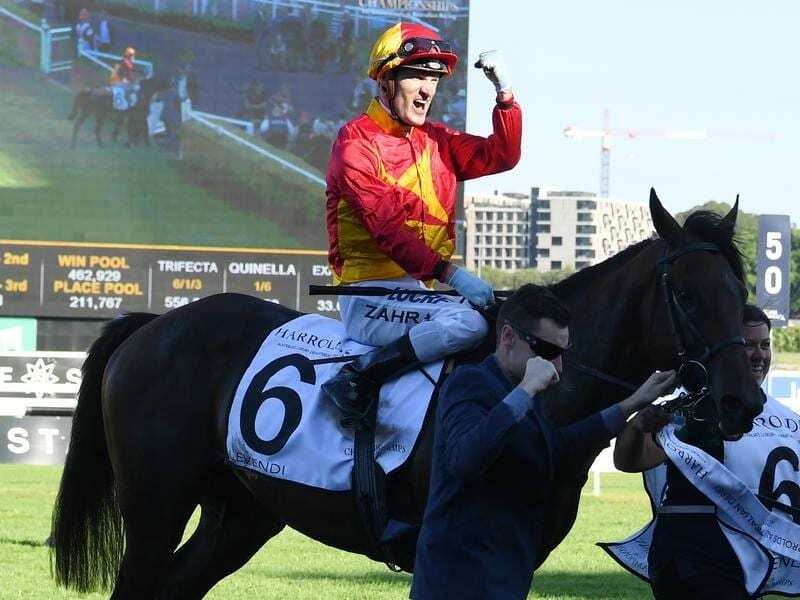 Manny Gelagotis, brother and assistant to trainer Peter Gelagotis, was thrilled with Levendi’s hit-out and the report from jockey Brenton Avdulla and believes the horse can be a serious player in the autumn over 1600m and 2000m. “He went terrific,” Manny Gelagotis said. “We got a really pleasing report from Brenton Avdulla. He ran in a half-mile trial, his first day out in public, and we’re in a really good place with him. “He had the spring off but it’s done him the world of good. The surgery went terrific. His rehab has gone terrific and we’ve had no issues with him. Levendi’s return in the Group Two Apollo Stakes (1400m) at Randwick on February 16 will coincide with the planned return of champion Winx for her first start since winning an unprecedented fourth Cox Plate last October. “That will be a tough ask but we’ve just got to worry about our horse,” Gelagotis said. “We had a view that going to Sydney was going to be better for him to get on those forgiving tracks with the procedures that he’s had. It’s more about the horse. “Winx or no Winx, it is what it is.